Hiroshi Mikitani, founder of e-commerce giant Rakuten, has seen the next battleground in the fight for the future of the Internet. Today's major e-commerce players are quietly building borderless platforms that are overturning the global brick-and-mortar model, and changing the way local businesses think about their customers. But is this good or bad? Rejecting the zero-sum model practiced by some global retailers, who view the Internet purely as a facilitator of speed and profit, Mikitani argues for an alternate model that benefits vendors, customers, and communities alike by empowering players at every step in the process. He shows why emphasizing collaboration over competition, customization over top-down control, and long-term growth over short-term revenue is by far the best use of the Internet's power. 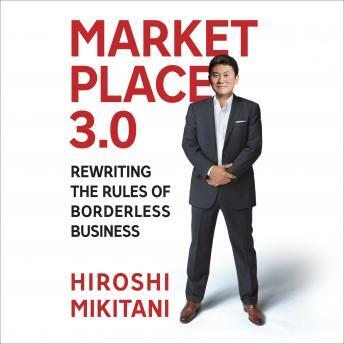 Rakuten is already pioneering this new model, and Marketplace 3.0 offers colorful examples of its success in Japan and around the world. Marketplace 3.0 is an exciting new vision for global commerce, from a company that's challenging all the accepted wisdom.